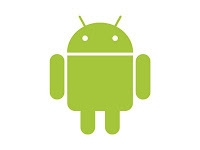 US overrun by Android before 2010? According to a blog post in the New York Times by Matt Richtel, Google has disclosed that there will be at least 18, and possibly 20 new Android handsets on the US market by the close of 2009. Android is the Google operating system currently available on only one smartphone, the T-Mobile G1. According to Richtel, "Andy Rubin, senior director for Mobile Platforms for Google and the spearhead of the Android operating system, said the number could be as high as 20. (That figure does not include devices made by manufacturers that use a basic Android system but have not apprised Google of its use). The 18 to 20 devices Google knows about will be made by eight or nine different manufacturers, Mr. Rubin said." AT&T has announced it will begin trials of it's IPTV product, U-Verse, using Ruckus wireless connections. Ruckus Wireless Inc. manufactures a system to attach TV set-top boxes to the distribution node while avoiding poor or non-existent home wiring. It does this by using standard wifi efficiently and can deliver multiple SD or HD streams. In the past, providers had avoided such systems due to a prohibitively high cost and a concern for securing the content. Presumably through economies of scale, AT&T can avoid the first problem, and may not be so concerned about the second. Installing systems like this can shorten the installation time significantly, allowing crews to do additional truck rolls in a given day. This is something I've been saying to my students for years. Now Carol Wilson @ Telephony has writen an editorial: IPTV Installers Also the Best Sales People. She's right; sometimes the best customer contact is the person who goes to the customer's home - he (or she) interacts with the customer, demonstrates the level of professionalism, demonstrates the use of the equipment, etc. This can go well or painfully wrong. If companies recognize this, the best course of action is to train their installers on soft skills, and even compensate them for upselling. If this level is a stretch (ex: soft skills needing to begin at hygine), companies need to consider sending someone with the installer who is more adept at working with customers. The point is this: most companies are looking to shorten or eliminate truck rolls to save money. What the y miss by forcing self installs is the ability to get into the customer's home. They've eliminated upsell opportunities as well as opportunities to sell other products. As we've all heard so many times, if you're not winning at playing the game, change the rules. To no one's surprise, AT&T and Verizon Wireless have exchanged assets. This follows Verizon's purchase of Alltel and AT&T's purchase of Centennial. According to Wireless Week, "Verizon was required to divest 2.1 million wireless subscribers in 22 states as well as spectrum and business management assets as a result of regulatory approvals related to its $28.1 billion purchase of Alltel earlier this year." Of course, AT&T will have to convert the Verizon assets from CDMA to GSM. This is expected to take about a year and cost AT&T about $400 million.